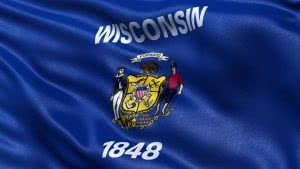 Wisconsin is a US state located in the north-central United States and is part of the Midwest and Great Lakes regions. It is bordered by Minnesota to the west, Iowa to the southwest, Illinois to the south, Lake Michigan to the east, Michigan to the northeast, and Lake Superior to the north. Wisconsin is the 23rd most extensive and the 20th most populous of the 50 United States. Wisconsin’s capital is Madison, and its largest city is Milwaukee. Wisconsin’s major industries include manufacturing, agriculture, and health care. Name of Wisconsin corporation must be distinguishable from name of any reserved or registered entity or fictitious names. Company Express will research your company name to make sure it meets Wisconsin’s standards. Required documents: Articles of Incorporation filed with the Department of Financial Institutions. Turnaround time: About 7-12 business days. 2-3 days expedited filings are available for an additional fee. Officer Qualifications: No special provisions. Local registered agent is required in Wisconsin. Time to file: Annual reports with must be filed the Wisconsin Department of Financial Institutions during the calendar year quarter in which the anniversary date of the company’s incorporation falls. The state filing fee is $40. Name of Wisconsin Limited Liability Company tmust be distinguishable from name of any reserved or registered entity or fictitious names. Company Express will research your company name to make sure it meets Wisconsin’s standards. Time to file: LLCs are required to file annual report with the Wisconsin Department of Financial Institutions during the calendar quarter in which the anniversary of the LLC’s incorporation falls. The state filing fee is $40.